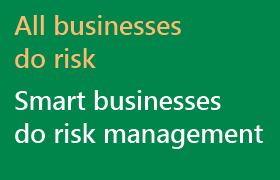 We believe that all organisations, big or small, should be doing risk management. We've set out to design an effective risk management system for use by people who are not risk management specialists. 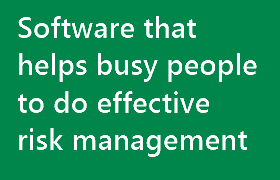 Risk Registrar software runs on PCs (including tablets) with Microsoft Windows™. (Windows 10, Windows 8.1, Windows 8 and Windows RT). The Risk Registrar app is available in the Windows Store. Download the app and try it for free! Guides you through the risk management process. Helps you to focus on the risks that matter. Helps you plan to tackle those risks. Tracks progress as you get your risks under control. Video: Your risk management mission!